Sen. Benigno Aquino III, in his TV ad, promised: Hindi ako magnanakaw. To which a friend commented, well not now! Just for today, I don’t believe Noynoy will steal taxpayer’s money once elected as president. I am not sure tomorrow, of course. But I have doubt if the people around him won’t steal. Remember that the people around Noynoy’s candidacy (mostly) are the same people around previous leader. I think you have hints on what I mean to say. Promises. Promises. 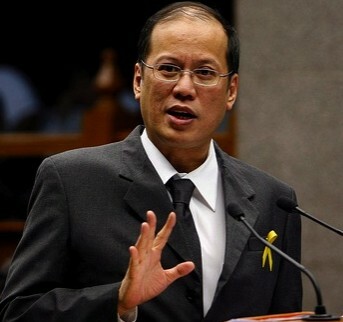 Noynoy’s promise don’t make different from a seasoned politician. We hear the same thing. I don’t seriously take his TV ad promise. It sounds like a claim of a herbal medicine to cure all disease in this world. Noynoy, in response to pressures about issues in Hacienda Luisita, promised to distribute the land to poor farmers. Promises. Promises. Another promise. It sounds good. Thanks, but seemed to be unbelievable. If former President Cory Aquino had not convinced herself and her family to distribute the land through her very own Comprehensive Agrarian Reform Program (CARP), then what can we expect from Noynoy? As Senator, did he voted in favor of CARP extension? And as congressman, he did not do anything about land distribution nor help the farmers. Promises can be empty, that is! I mean to be light today. Actually, I just read the news, Aquino promises to quit smoking if he wins from Manila Standard. Hilarious! Why did he give conditions? So this means, if he lose in this election, he continues to smoke? Well, that’s none of my business. Whether he will quit not or tomorrow or when elected, I don’t really care. He is big enough to know his responsibilities as leader. That is if he knows. I wonder if he is “doing the right thing” now. Hala! This is what I have always told my friends, even in small things, the acts and words, and reactions, of presidential candidates can give us enough hint and picture of what kind of president he would be. As voter, I can promise to “do the right thing”. Promises. Promises. Let’s make many promises. So, what is your promise?